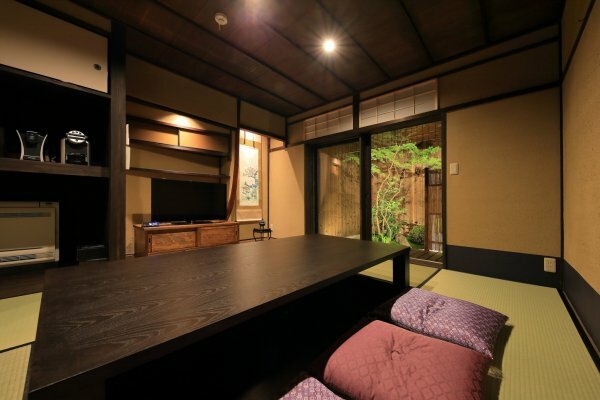 If you’ve ever researched a trip to Japan, you’ve likely come across the term “ryokan”, and so you probably also have an idea of what it’s like to stay at a traditional Japanese ryokan. 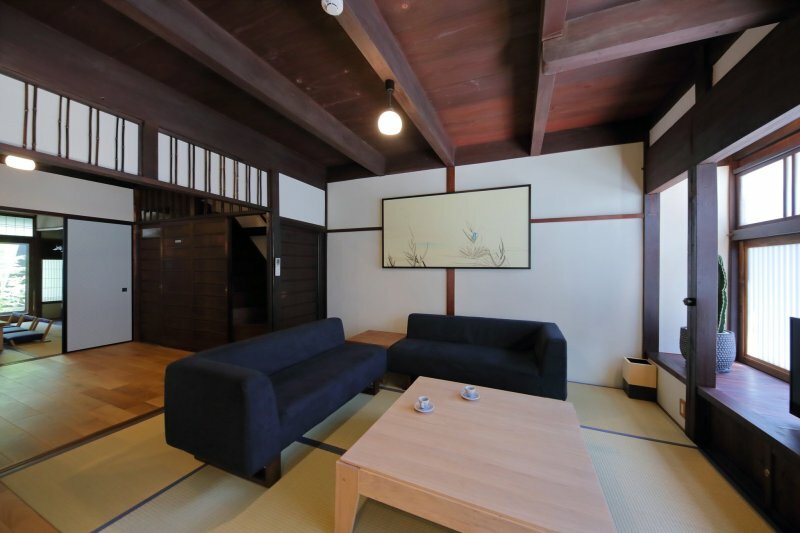 But in Kyoto, you can experience staying at a Kyo-Machiya – a traditional Kyoto townhouse from the Edo period. 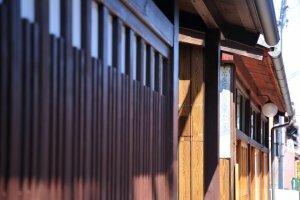 You can rent these traditional Japanese houses for yourself and experience living in Kyoto during your stay. The elements of tranquility and culture that come with staying at a Kyo-Machiya make it an extremely popular option for tourists hoping to include some traditional ambiance in their visit. Today, in the age of smartphones and online booking and not-perfect-but-ever-evolving translation apps, there has never been a more uncomplicated and stress-free time to be a fully independent traveler. While guided tours suit the needs of some, others prefer the freedom of movement, time, and privacy offered by following one's own itinerary. A key element of that freedom involves having a convenient place to start each day of wandering as well as a comfortable place to relax and unwind once you've depleted your energy. 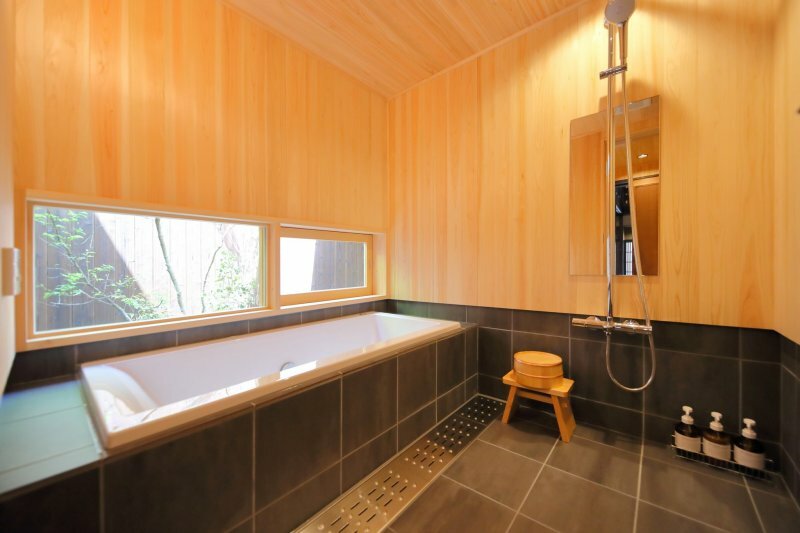 Kyo no Oozora Houka East and West, which combines two recently refurbished Japanese houses certified by the "Japan Kominka Association", is a Kyo-Machiya located just 15 minutes walk north of Kyoto Station. 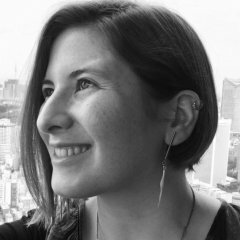 It makes a perfect choice for anyone visiting the City of Ten Thousand Shrines. 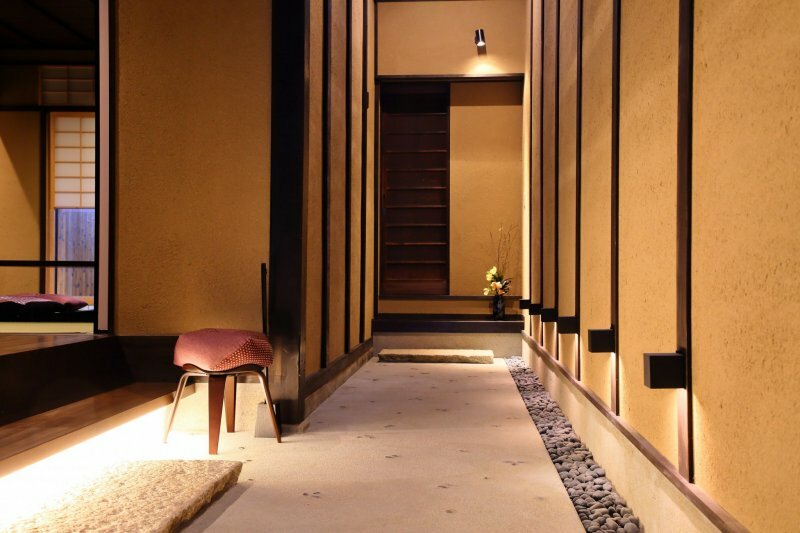 Their style of accommodation rests between a traditional ryokan and modern hotel. 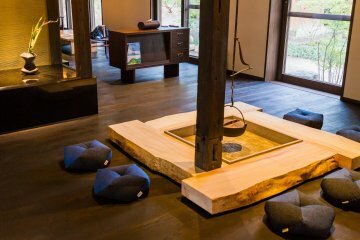 At the time of your check-in, Houka's staff will greet you with fresh green tea, pamphlets in English recommending local restaurants, a smartphone with built-in Wi-Fi and a smaller phone with speed dial to contact staff. 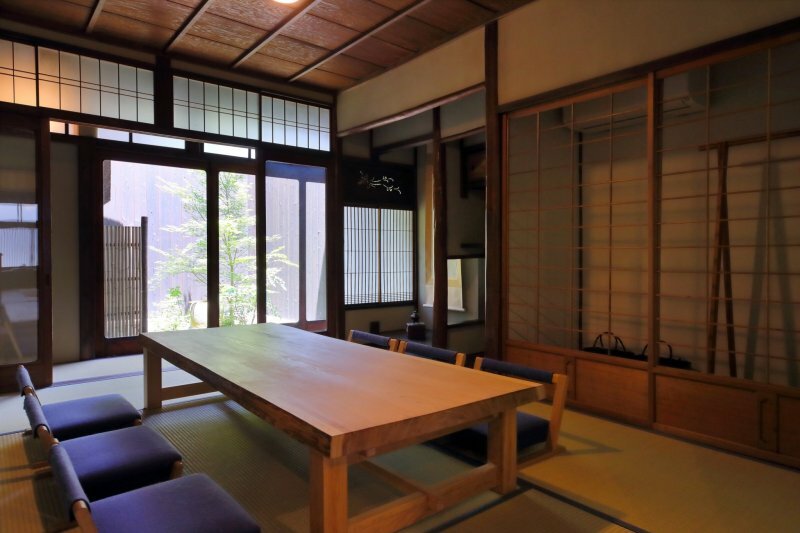 Then you'll be taken on a tour of the house: a Machiya house with history, zest of tradition and comfort. 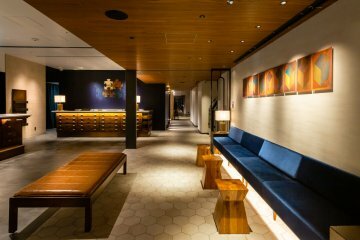 Afterward, with all potential curiosities settled, the staff will take their leave and guests will be free to explore the city outside or take advantage of the pleasures within. 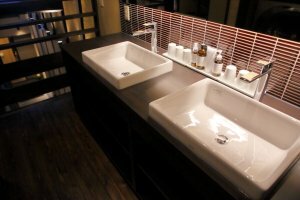 Both houses contain not only the luxury amenities a traveler might hope for-microwave, refrigerator, coffee/tea maker-but also a number of unique touches that elevate Houka in both convenience and extravagance. If you're the type who prefers to pack light, for example, consider leaving your toiletries behind. Houka's bathrooms not only feature all the modern bathroom amenities you could expect, but also an extensive range of additive- and cruelty-free skincare products made by a Japanese organic herbal brand. "Extensive" here isn't used lightly-in addition to shampoo, conditioner, and body soap, you'll also find plentiful supplies of cleanser, toner, moisturizer, and emulsion, as well as mandarin- and lavender-scented bath salts. The thoughtful inclusion of a domestic, high-quality brand hints at the amount of thought that went into Houka's design. 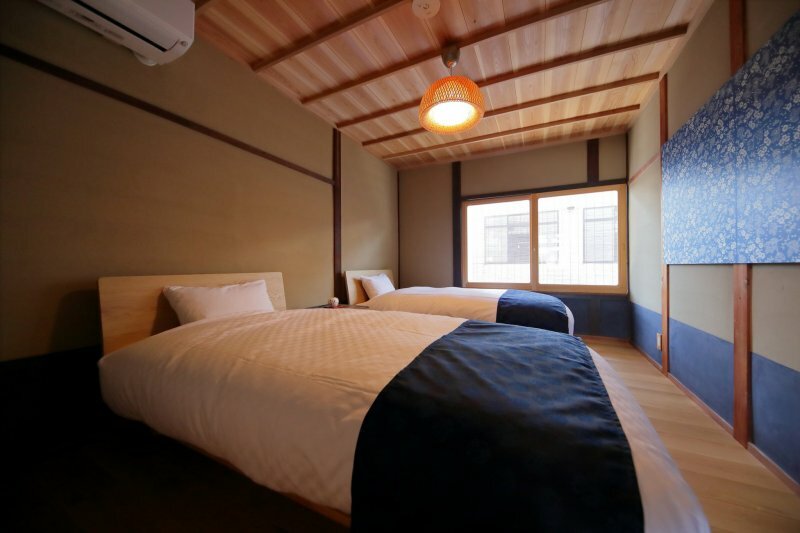 Where some accommodations will provide guests with lackluster, in-house sample-size bottles of product rarely seen outside said accommodation, I was delighted to see that Houka gives their guests a high-quality brand with their style of "omotenashi". Upstairs, where each day will likely begin, there are two incredibly comfortable semi-double beds outfitted with Simmons mattresses-as well as the option for a luxury futon in the room opposite. Every season, the hosts select bedding that perfectly suits the weather conditions and guarantees the best possible sleeping conditions for Houka's guests. There is also the option of breakfast delivered in the morning. 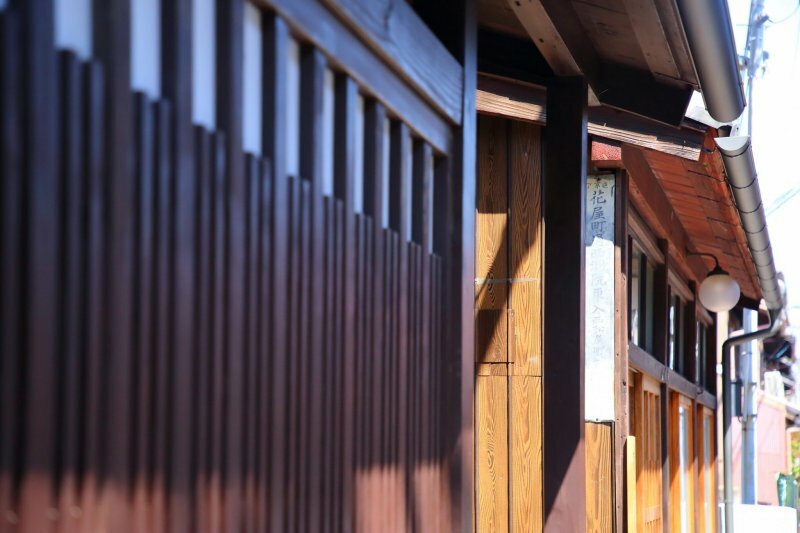 Enjoy a Kyoto-style breakfast overlooking Houka's petite Japanese garden. 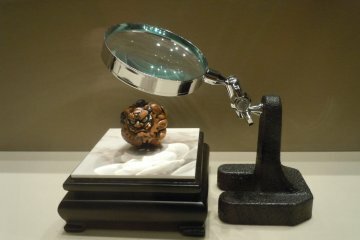 The West leans into the traditional, with an emphasis on culture and delicate accents linking the present to the past. 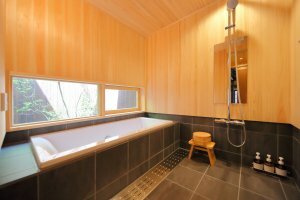 In addition to the use of cypress in the bathroom, a familiar sight in Japanese hot springs, guests will find a large, handmade cushion of incredible comfort. As a person sits, the cushion molds around their body, perfectly supporting the back and allowing utter relaxation. 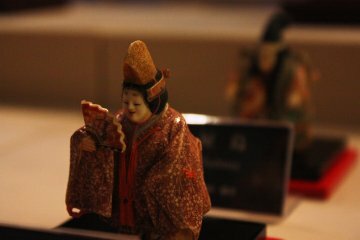 Almost every room displays a traditional craft of some kind. 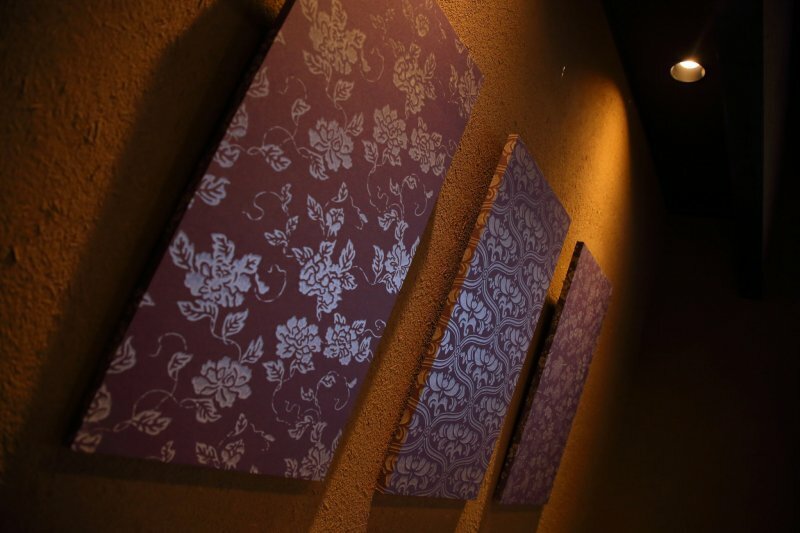 Of special note are the three paintings in the master bedroom; handmade on the same paper, Kyo-Karakami used in "fusuma", traditional sliding doors, the paintings were crafted with a unique approach that allows the colors and expressions to shift with the changing light throughout the day. While the East house and the West house are the same size and include the same level of comfort and the same number of amenities, their interior design concepts differ significantly. 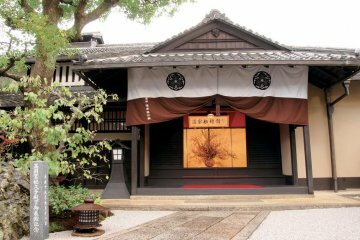 The East house harkens back only as far as the Showa period, a time in the past but still in living memory. While the focus of the living room in the West house is the porch and garden, illuminated at night and also visible while soaking in the bath, the East house's living room adopts a more Western aesthetic, with comfortable sofas arranged around a large television. 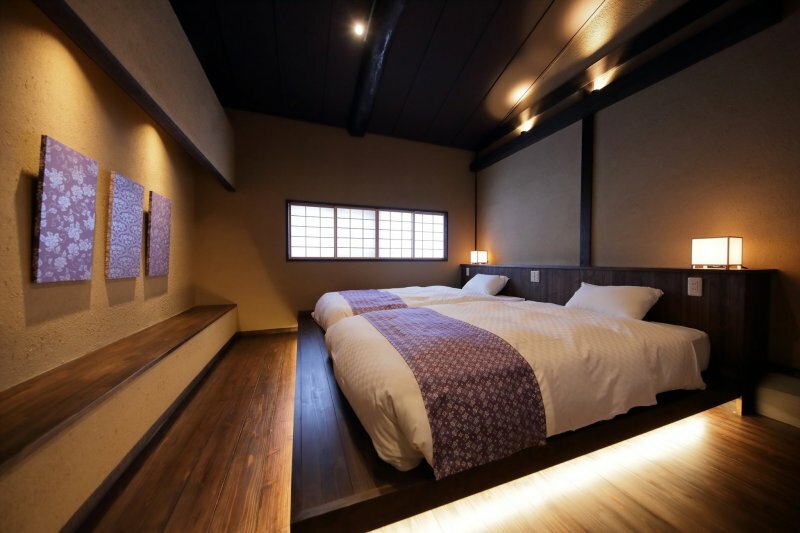 Upstairs in the master bedroom, guests can drift off to sleep with Houka's specially-designed, original diffuser. While winding down at night, guests can enjoy the diffuser's soft ambient light and soothing aroma before a long, deep sleep. With both houses so similar in comfort and so extraordinarily accommodating, the most challenging choice on your trip may just end up being which atmosphere suits you better. 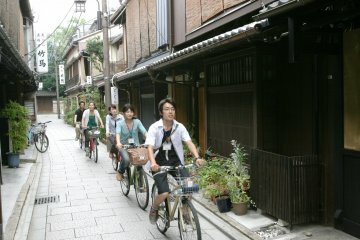 From Kyoto Station's Northern side, Kyo no Oozora Houka East and West is a short 15-minute walk away. 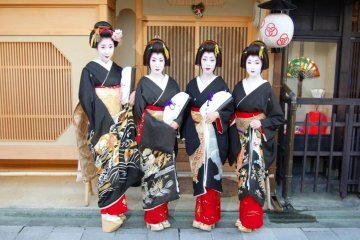 Eight years in Japan with thirty prefectures visited and counting. 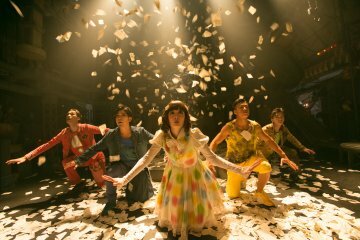 GEAR Kyoto Theater: Dance, Music,..